It’s not a secret that the SAT and/or the ACT are important. However, most people don’t understand why it is so important to focus on these tests. Your SAT/ACT score is the only thing that is still completely in your control. By the time you are a junior in high school, raising your GPA significantly is mathematically impossible, and improving class ranking has you relying on other people’s failures. With the right amount of studying though, you can see a tangible increase in your SAT/ACT test score. As a high school student trying to help pay for college the number one way to make money for college is by improving your SAT/ACT scores. This can generate thousands, even tens of thousands of dollars in savings. It all goes back to the rankings, su ch as those done by US News and World Report or the Princeton Review. A large part of the rankings is the academic profile of the incoming freshman classes. The logic is simple, if a lot of smart kids are attending a certain school, it must be a good school! And though there are a lot of problems with standardized tests, it is still the one thing that is a level playing field across the nation. A GPA of 4.0 might be the equivalent of a 3.8 at a school across town. Where as a 1400 on the SAT is the same from Hawaii to Maine. As a result colleges are continually trying to get kids with better SAT/ACT scores in order to move up in the rankings. Increasing your test score does more then increase your chances of getting scholarships at the schools on your list; it increases the number of schools where you would be a good fit. Applying to schools where you are a good fit is absolutely critical. So how do you improve your test score? Determine which test is right for you. The two tests require two different test-taking strategies; the way you study for the SATs will not equate to the ACTs. If you end up taking both tests two times you’ll invest a lot of extra studying time. To make the most of your study time and thus improve test scores, take a diagnostic test. We have a diagnostic test at our office and this is how it works: it is a 3 ½ hour test that will determine which test you are stronger at and breaks down each section to show you where you need to improve. You can then focus all of your efforts studying for just that one test – SAT or ACT! If you are a junior, now is the perfect time to take the diagnostic test. Then you can schedule your test date and start studying. 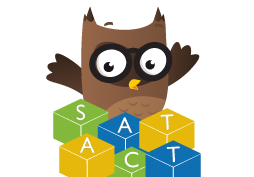 Once you’ve determined which test is your strength, and you are a junior, we suggest you schedule your SAT/ACT test so that you can take it twice in junior year. That way you have an opportunity to improve your score if you are not happy with the first one. If you are a sophomore, we recommend doing the diagnostic test at the end of your sophomore year. Then once you’ve determined your test strength start studying for that specific test and schedule your testing dates as early as the Fall of your junior year. When the award letters start rolling in, you’ll be happy you put forth the effort! If you would like to learn more about how you can have your student take the Diagnostic Test give us a call at (425) 242-5179.